Although most bulbs have already been planted it’s still possible to plant Tulips throughout November so don’t waste any time! When buying bulbs reject any that are soft or showing signs of mould. Small bulbs may not flower in their first year. Aim to plant within a week or they’ll start to sprout. When possible, check that the plants have been obtained from reliable growers, rather than from stock that has been collected from the wild. 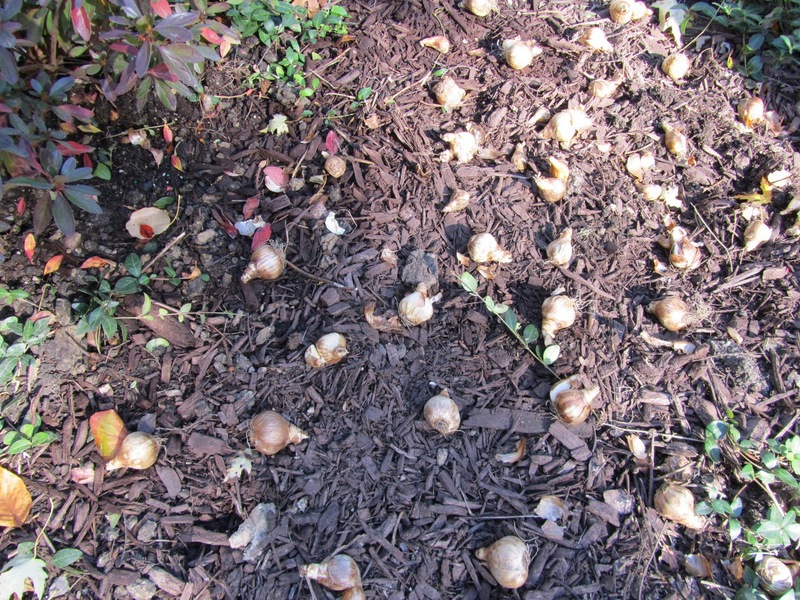 Remove weeds and incorporate lots of compost or other organic matter when planting bulbs. On heavy soils, dig in horticultural grit. Bulbs grown in pots need good drainage so put plenty of drainage in the bottom and use a well-drained compost. To create a good show in a planting bed you should really think about planting at least 40-50 bulbs. To plant, dig a hole wide and deep enough for your bulbs. Work out the planting depth by roughly measuring the bulb from base to tip and doubling or tripling this length – this figure is the rough planting depth. For example, a 5cm (2in) high bulb should be 10-15cm (4-6in) below soil level. Place the bulbs in the hole with their shoot, facing upwards. Space them at least twice the bulb’s own width apart. Replace the soil and gently firm with the back of a rake. Avoid treading on the soil as this can damage the bulbs. Personally, I like to scatter bulbs rather than place them as it usually creates a more natural look. It can be hard to place them and not end up with neat rows! • If you bring pots of hardy bulbs indoors during flowering, put them in a sheltered spot outside as soon as flowering is over.